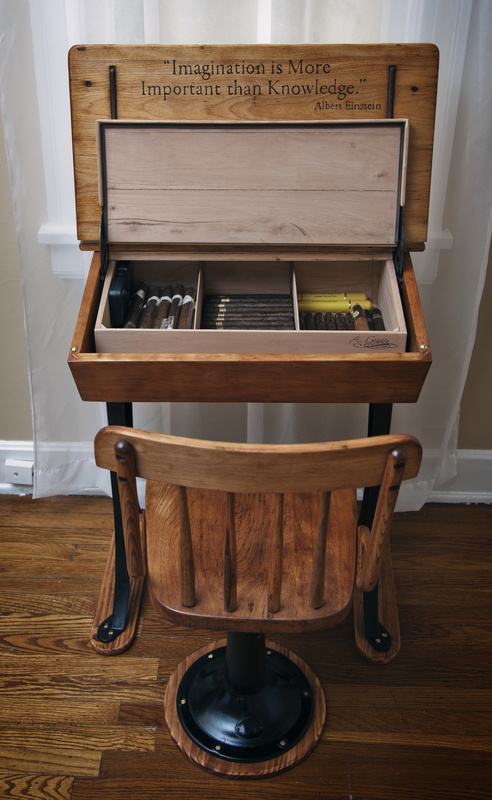 I converted an old school desk from the 1950’s into a humidor and cigar station. 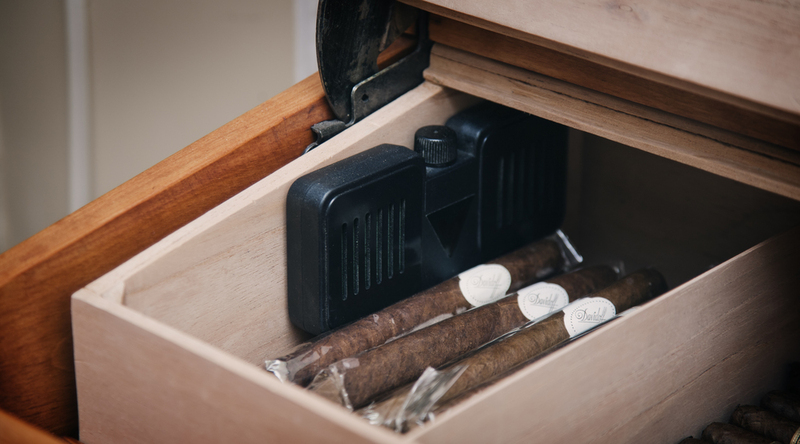 You can sit down, choose your cigar and keep all your cigar accessories in the pencil holder at the front section of the desk. 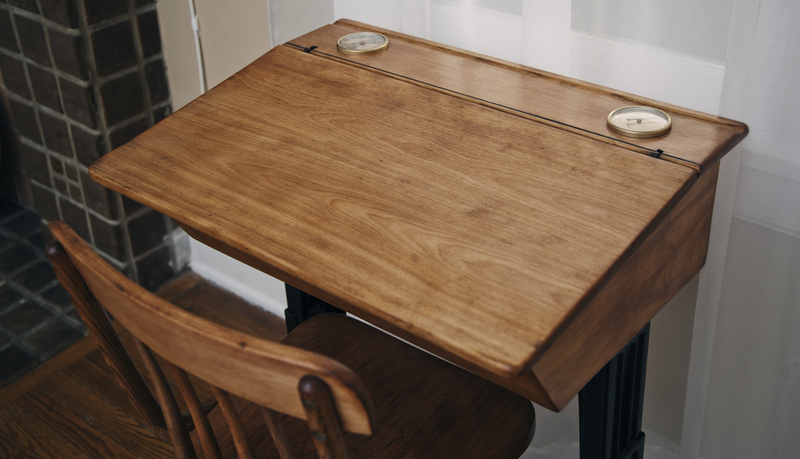 The desk is a refurbished school desk from an elementary school in California. 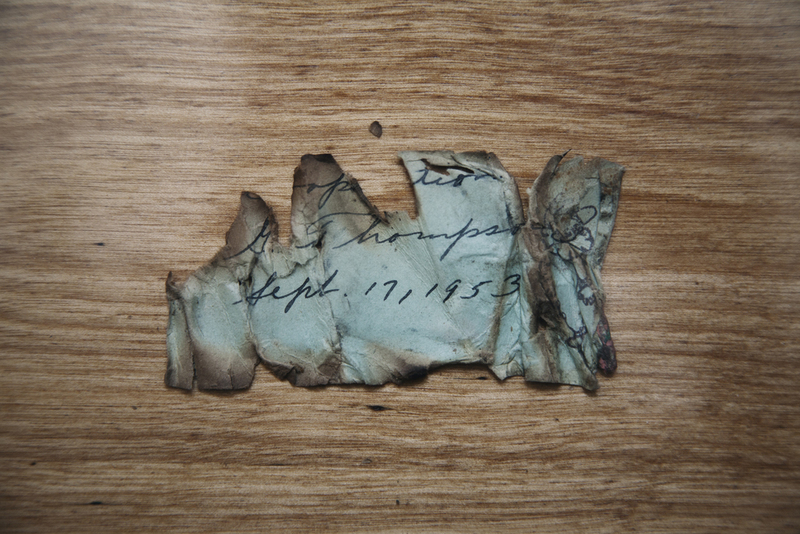 I found a piece of paper stuck in the hinges and it reads “G. 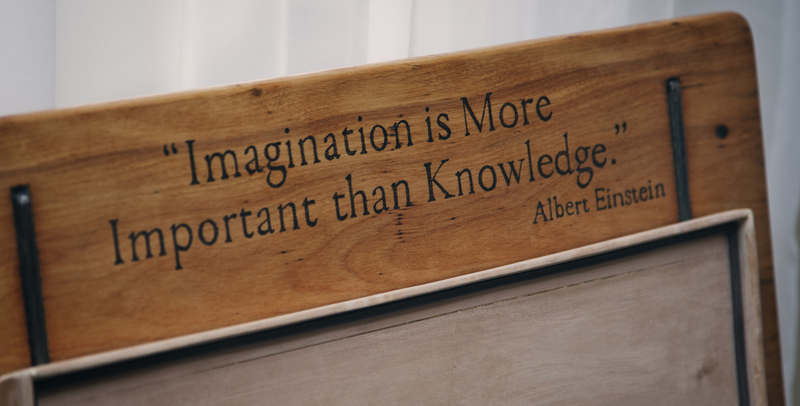 Thompson, September 17th, 1953.” Although it has been refinished, it still has plenty of character from its many years of use. 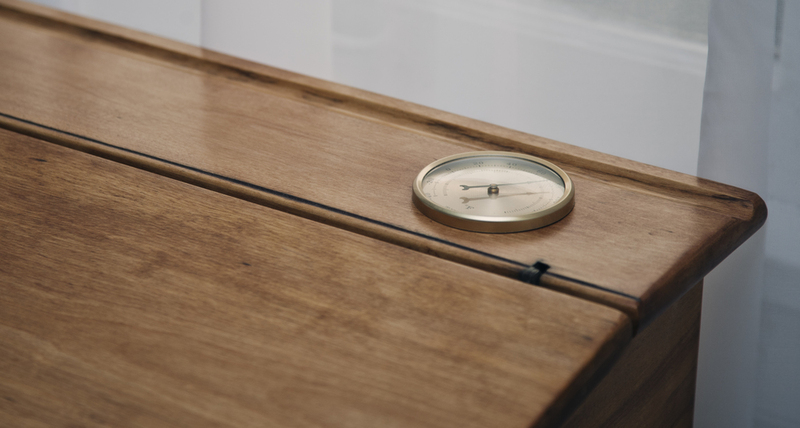 The humidor has 2 dials, hygrometer and thermometer; placed where the ink wells used to be. All the edges of the Spanish Cedar have a tongue and groove cut. 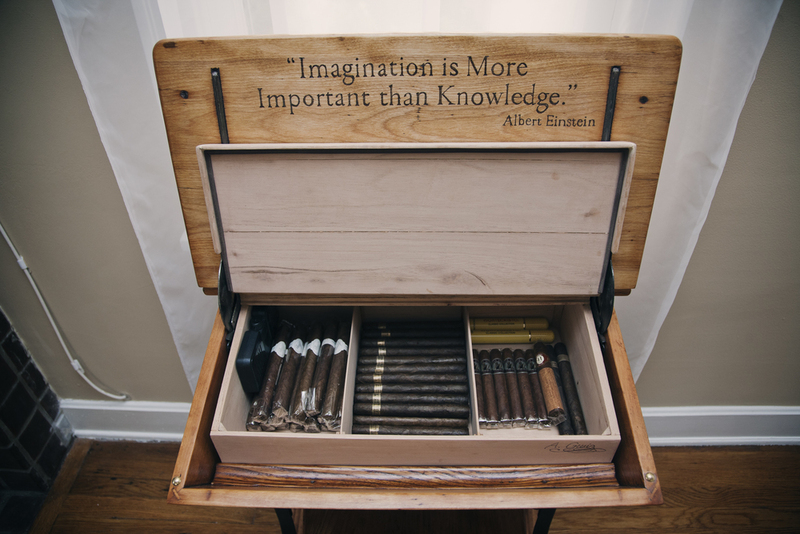 On the inside of the desk cover I burned a quote by Albert Einstein, “Imagination is More Important than Knowledge.” I believe this to be true and found it rather fitting for an old school desk that is re-purposed into a humidor. 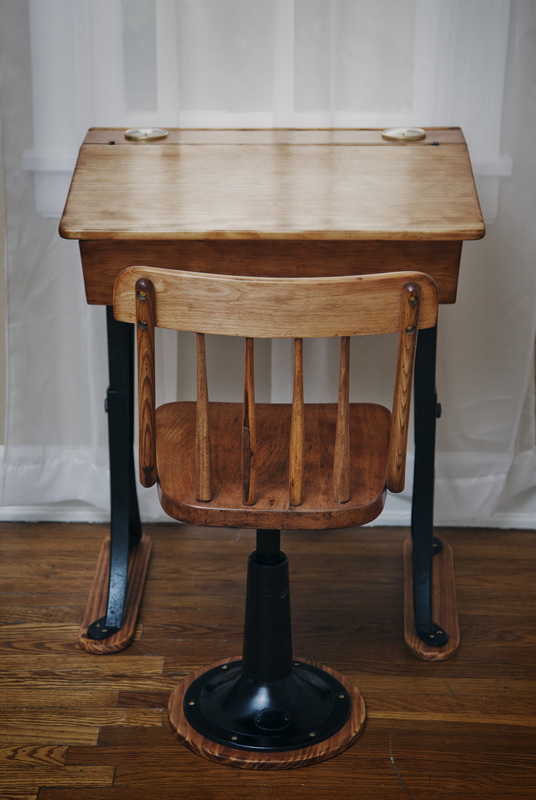 This desk is dedicated to my late grandmother who was a school teacher in Rhode Island for many years.